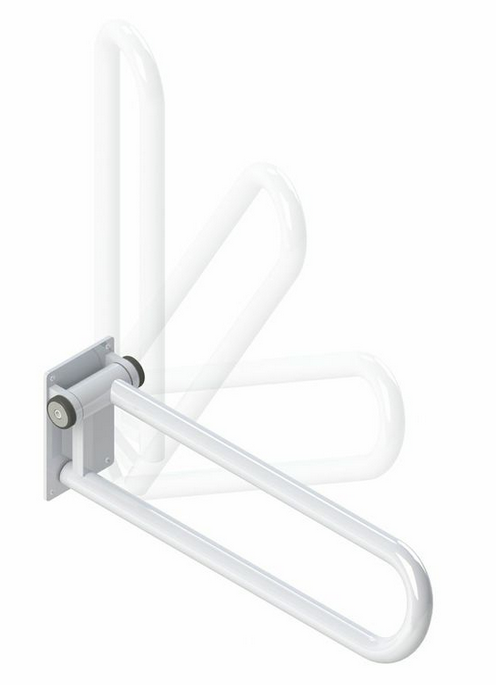 P. T. Rail is a bathroom safety rail designed to provide a steady hold or grab while reducing wrist strain. 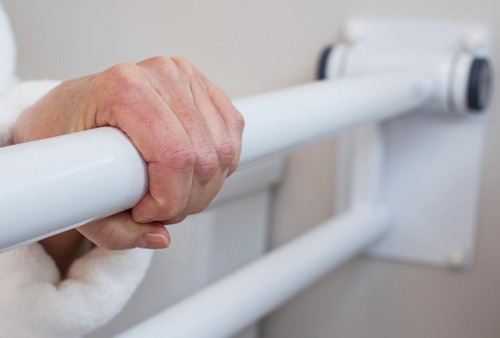 This Safety Grab Bar manufactured by HealthCraft provides rigid support as needed and folds out of the way when not needed. 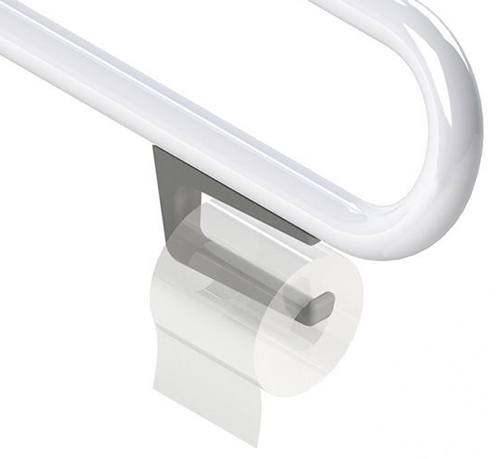 The top and bottom rails of the PT Rail are offset to allow easy access to either rail. 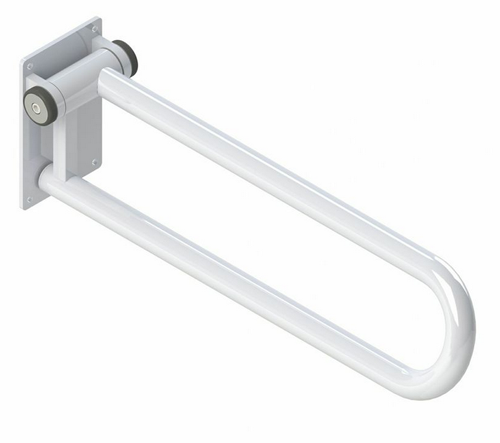 Available in three models--Angled, Fixed and Hinged, the PT Rail is highly adaptable to individual needs. 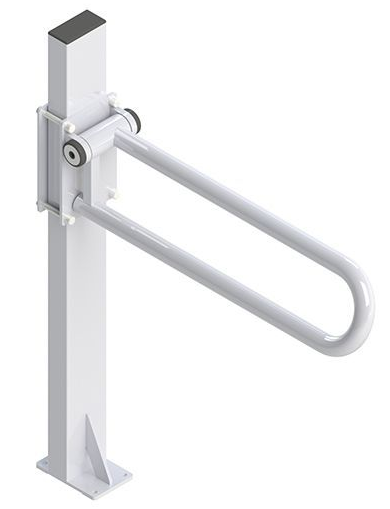 The smooth, fluid operation of the PT Rail hinge allows the PT Rail to lock into position and will not inadvertently fall. The P.T. 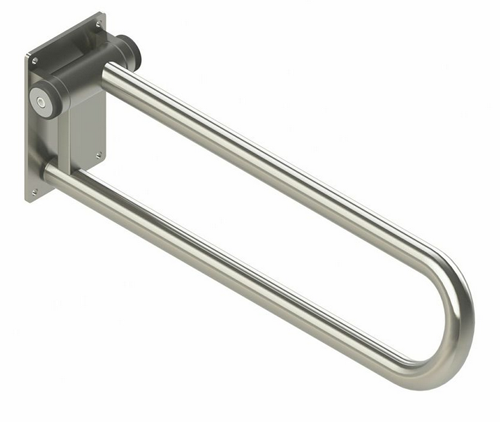 Rail Bathroom Bar folds for convenient storage and pulls down in an instant, when needed. Please note: Healthcraft products are shipped from Canada and therefore cannot be expedited faster than the standard 3-5 day shipping. 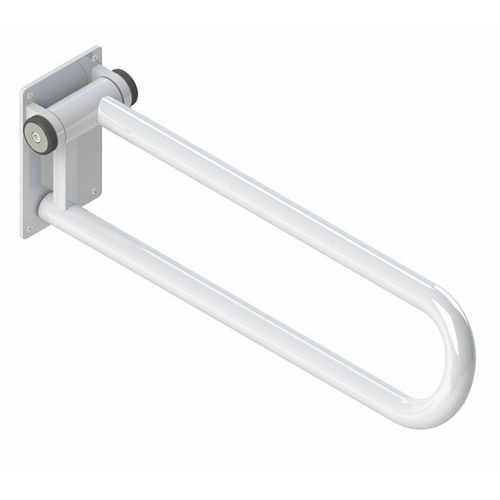 Features an offset rail design to help prevent wrist strain. 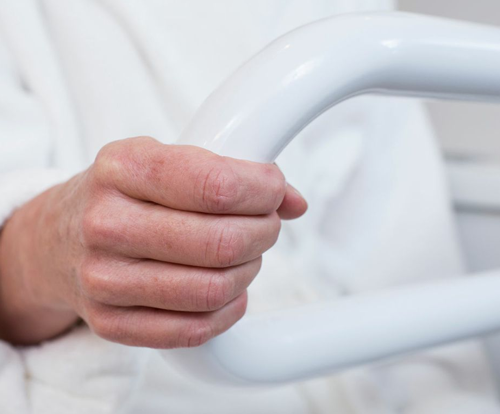 PT Rail Grab Bar easily folds up out of the way when not needed. 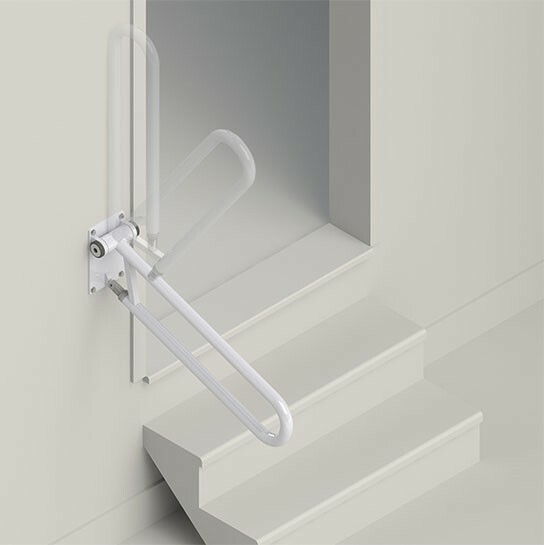 Safety hinge prevents P.T. Rail from accidentally falling when folded. 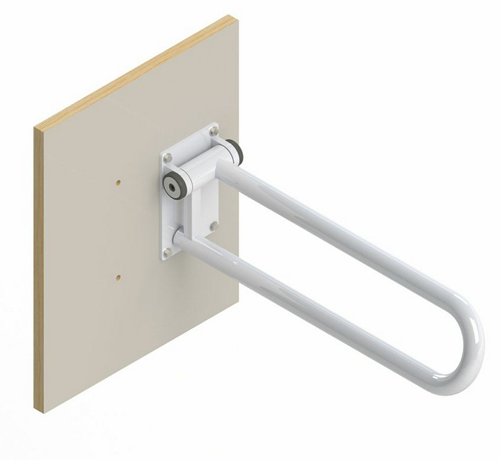 Will not wobble - tension fit hinge creates stable, rock solid support. 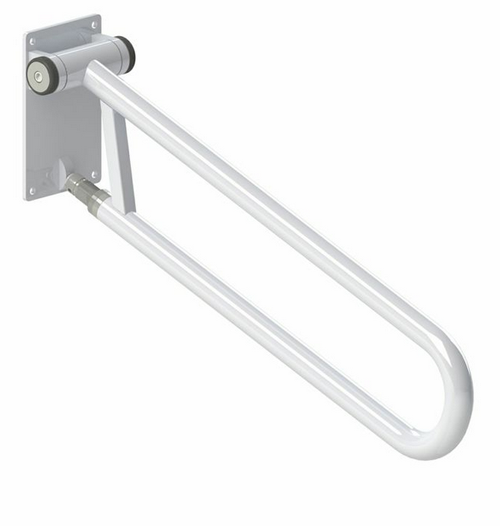 Designed for home or institutional use. Available with toilet roll accessory. Rail Offset: 6 Inch Verticle and 1-1/2 Inch Horizontal. Wall Plate: 5-1/2 x 9 Inches. Finishing Options: White, Platinum Grey, Chrome, Stainless Steel. Model Options: Angled, Fixed and Hinged. 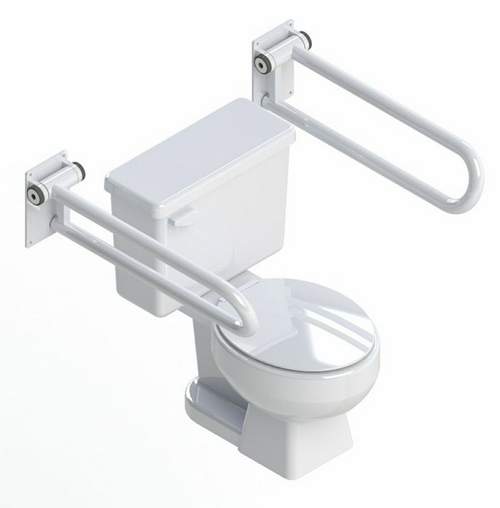 Toilet roll holder attaches to they P.T. rail, with ease. 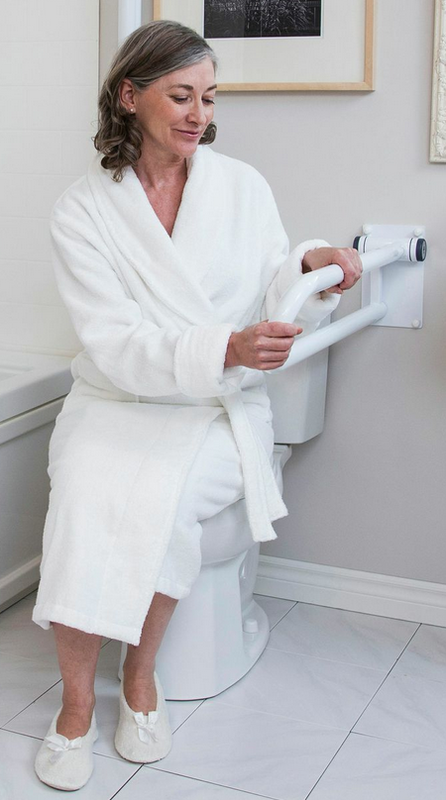 Place toilet paper conveniently next to you, within arms length. To be used only with P.T. Rail. 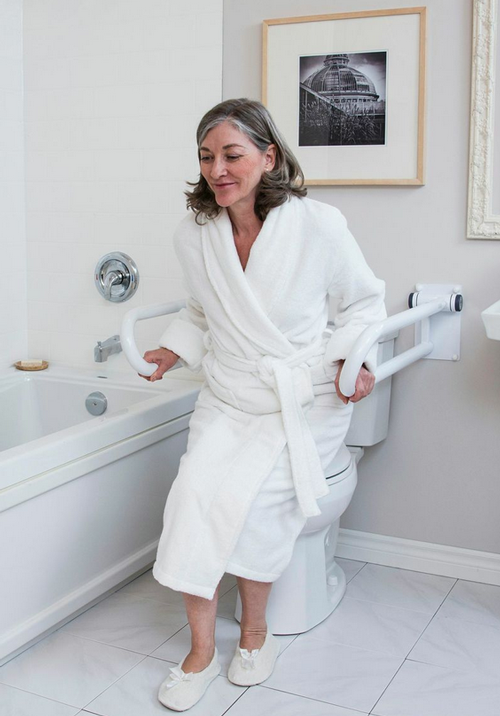 Holds 1 roll of toilet paper at a time. Wall plate does not include P.T. Rail. 18 millimetres thick, Birch plywood. Unfinished wood, allows you to paint plate according to your room. Floor mast only, P.T. Rail is sold separately. Mount mast to floor instead of the wall. White colour option has an anti-microbial coating to help keep it clean. Flip up and down when using stairs for safety. 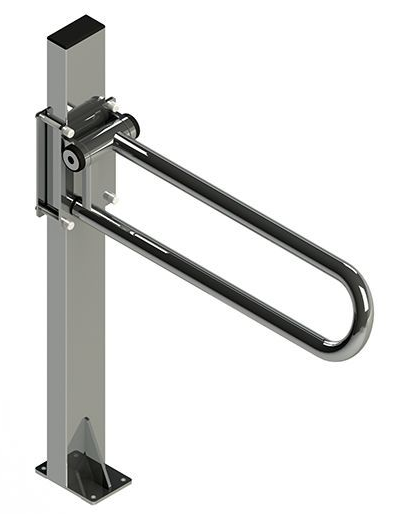 Angled friction hinge, holds rail in any position. Adjustable between 0 and 35 degrees. Support up to 400 pounds.